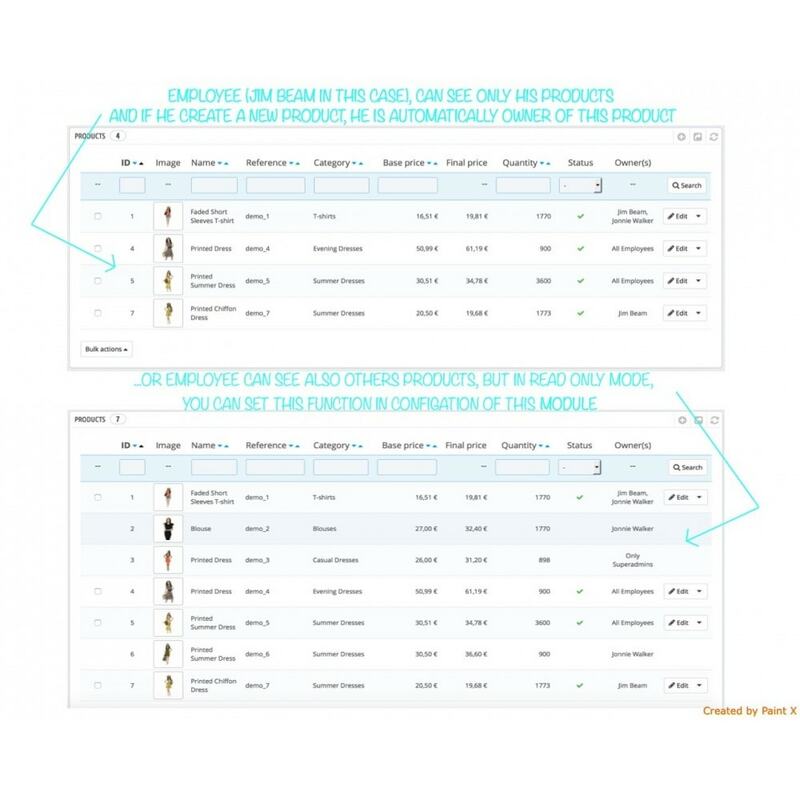 If you need to set access to products or orders to some employees, you can use this module for that. 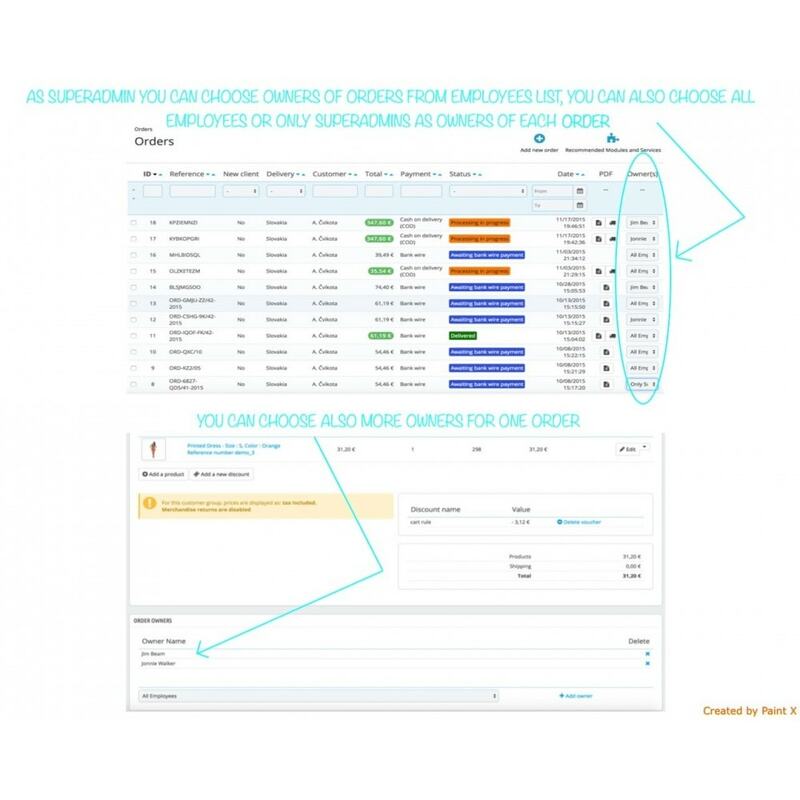 As Superadmin you have access to all order and products and you can select one or more another employees as owners of products or orders. 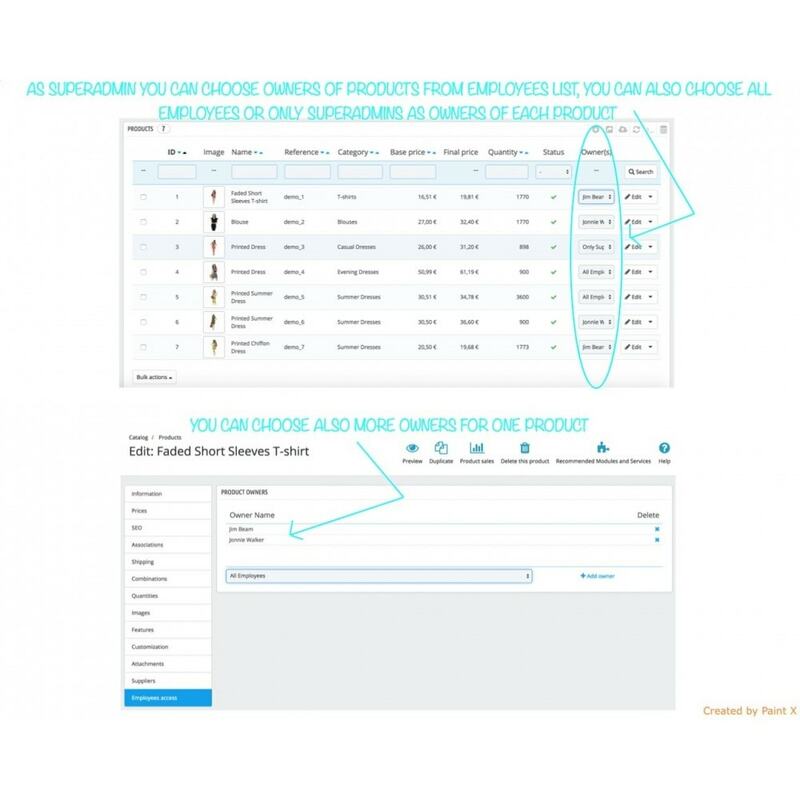 You can also set access to all employees or only to superadmins to each product or order. If some employee create product, he is automatically owner of this product. 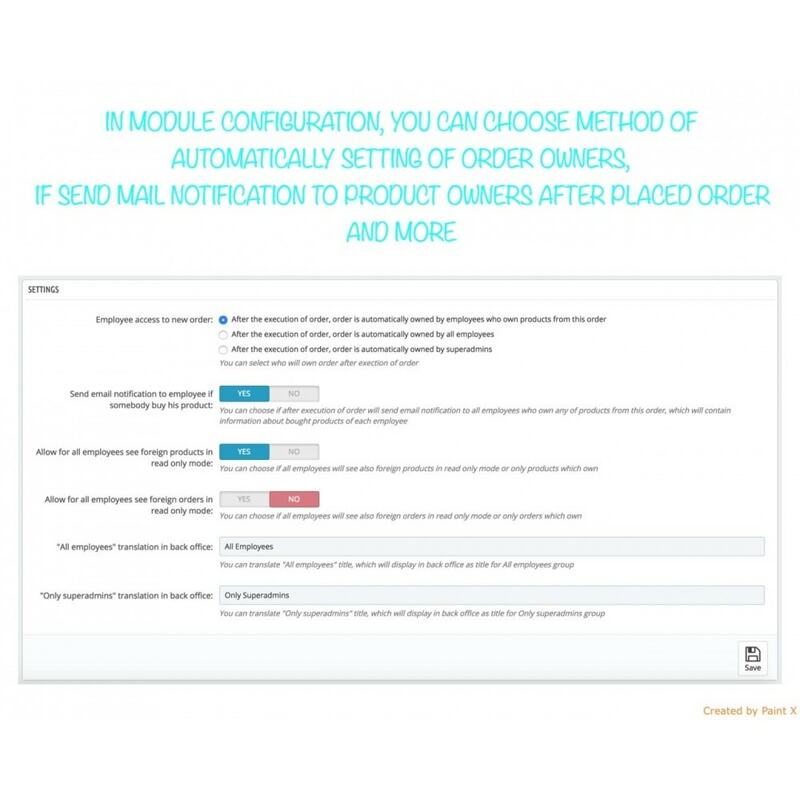 In module configuration you can set, that after every placed order is order automatically owner by employees, who own products from this order. Also if you want, after placed order is send email notification to employee, with list of his products, which was ordered. 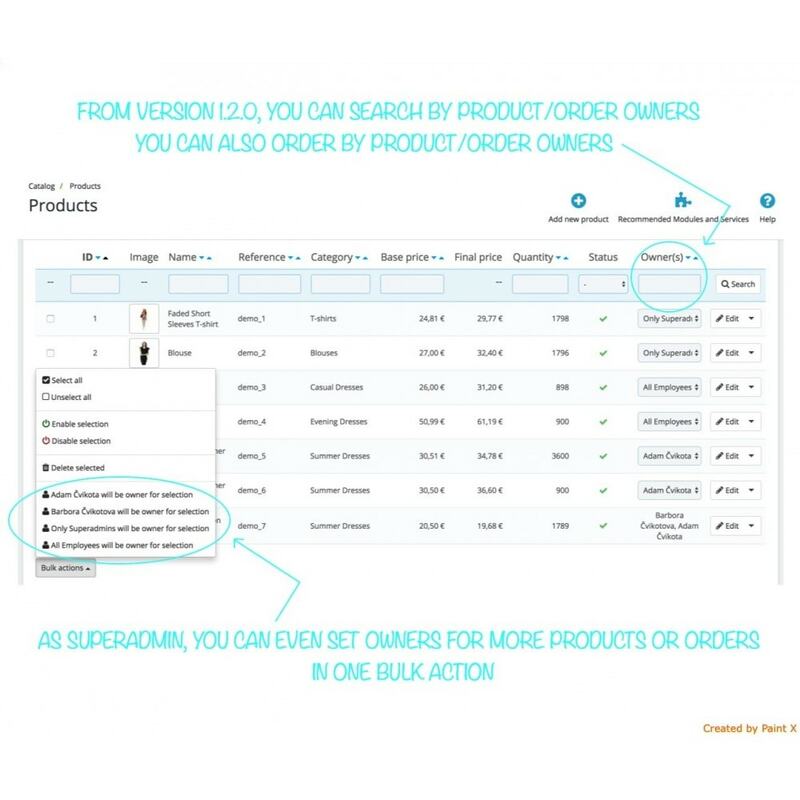 From version 1.2.0, you can order by product or order owners and you can also search by product or order owners. 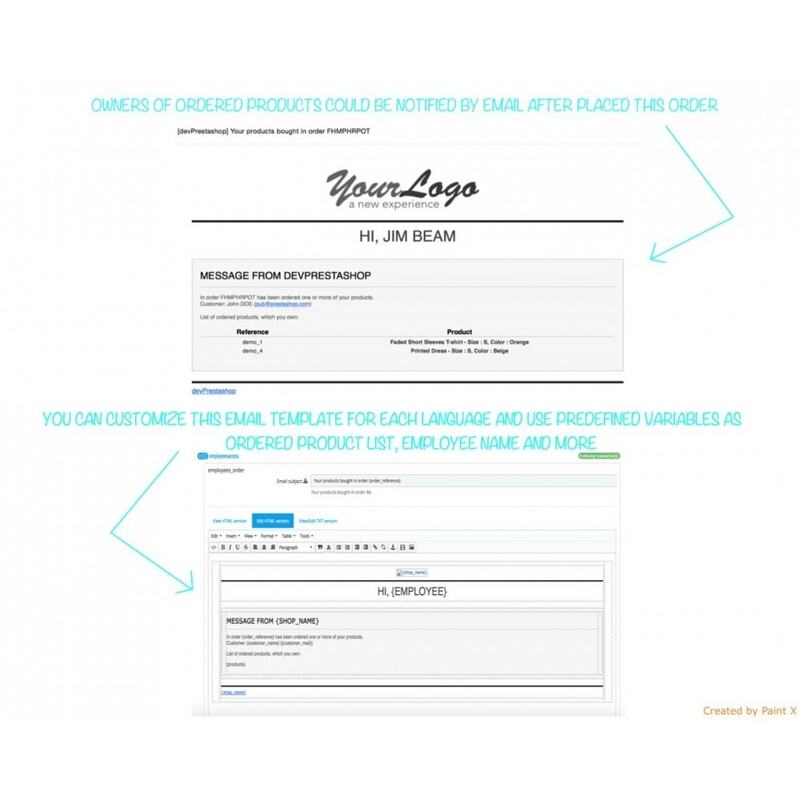 You can even set owners for more products or orders in one bulk action. Now admin can also auction their products, to sell them on best price selected by the customer. 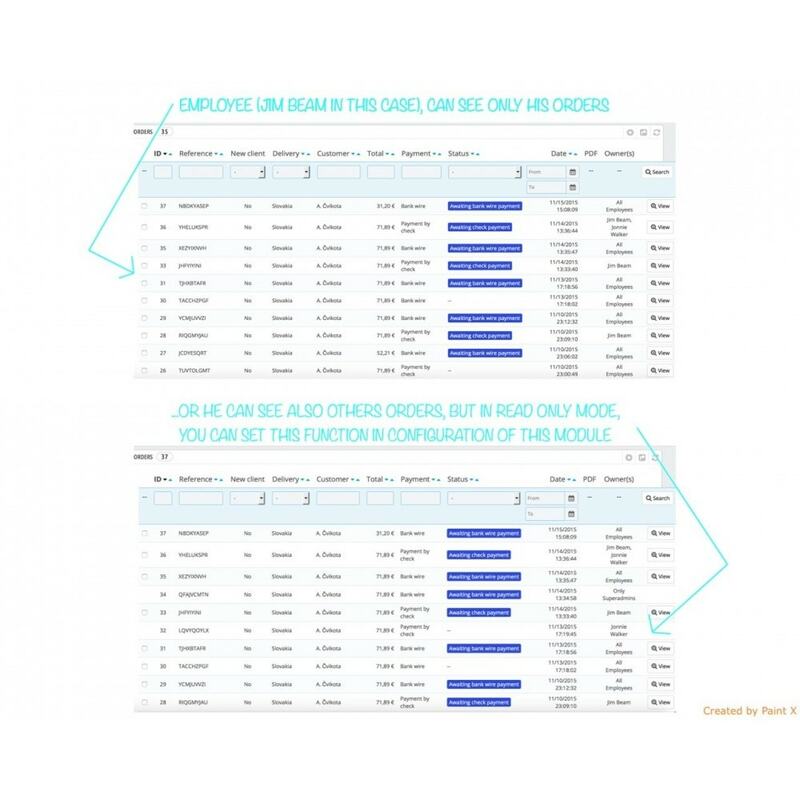 By this module admin can put their product on auction , can put the timer on the bid and can choose the maximum bid. This module is easy to install. An installation help manual is included in the download file.